This one bit me hard today and it shouldn't have. I should have followed my instincts...instead I trusted the tool. ID10T. We use the Filters in the Security tool which can apply predicates based on the Group. 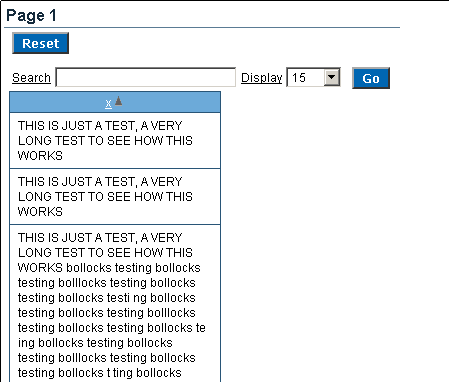 I then, like an ID10T used the Expression Builder to build my predicate. This was a BETWEEN, so I went to Operators and found the BETWEEN and double clicked on it. Can you see what it did? That's right, it says "Upper Bound" first followed by "Lower Bound"
I knew that wasn't right...but I went with it anyway. After the "mistake", I verified in SQL. Live and learn I guess. I'll never trust that thing again. One more reason to dislike GUIs. I was exposed to Exadata a few weeks ago and my brain has been churning ever since. I can't speak about specifics (you know, the first rule of Exadata don't you?) unfortunately. I can speak about how I think it can be applied though (I hope). I came away from that experience in sheer awe. To the point where I am rethinking the entire database landscape. You may have read somewhere that, in regards to Exadata, you have to relearn your use of indexes. In other words, you don't need them (well, I'm sure there are cases) other than referential integrity. What about materialized views? Indexes (non-RI anyway) and materialized views are basically work-arounds for a lack of raw power. I saw Exadata scan 45 million rows (in an Explain Plan) and immediately said, that should be materialized, that you don't, or shouldn't, normally, scan that many records. Then I started to think about it...why? Why materialize it if you can scan it in mere seconds? Materialize views and indexes both require support to some degree or another. Both take development time in way or another. With Exadata, you might just not need them anymore. That's a good thing. Taking it out one step further, do you even need a data warehouse any more? I'm not talking about the top 5% of shops out there, I'm talking about the smaller shops that are not processing thousands of transactions a second. Think about why you build a data warehouse. Data warehouses are designed to make reporting easier by 1, creating a standalone instance that has it's own resources; 2, creating a design (denormalization in some cases) that makes it very easy to get at the data. I may be crazy, but why create all that extra work if you don't need to? By going the DW route, you now have ETL routines, a separate database and a separate design, all of which need to be maintained. Doubtful the same person will be doing everything so you hire more staff. (Remember, I'm talking about the 95% here). The raw power of Exadata would allow you to do everything in a single location. I've had private conversations with people about this very subject...some think I'm off my rocker (naturally), some haven't been exposed to it and are wary of speculation, and others see some merit in my rambling. I'm very excited about the possibilities with Exadata. What say you? A great post by Jeff McQuigg: OOW BI Imp Panel Questions #3: Can Exadata Replace a DW? - I asked this question at the OOW panel, but I'm not sure if this is directly related as mine was rushed to go see Larry's speech. Good read. It's been almost a year since I permanently switched to Ubuntu from Windows. About the only complaint I have is that Skype doesn't always work. Either my microphone isn't working or my speakers. I haven't been able to detect a pattern to it either, which is maddening. Other than that though, it's been remarkably smooth. Recently I installed Dokuwiki downloading the .deb package directly from the site. After installing it, I had no idea where the program files were. Took me an hour to find my Apache installation (Synaptic Package Manager) to update httpd.conf. That and other small items are mostly due to my lack of understanding of Linux in general. Sometimes it seems to go into /usr/bin, sometimes /usr/sbin. Sometimes it ends up in my /home directory. I can't figure out why or how (yet). To add to that much of the software installed needs to be run via command line. I'm still not quite there yet. Thankfully though Google is my best friend. And once you get comfortable, it's pretty easy to do just about anything. Want to combine multiple pdfs into one? Of course there are other cool, under-utilized by me, command line tools like vi, awk, sed, strace, etc. I've only scraped the surface with those. I haven't even tried scripts yet either. Man, so much to do. I have managed to install an Oracle client, JDeveloper, SQL Developer for my development needs. VirtualBox runs like a champ. I have 7 or 8 images already. 11gR2 running on Oracle Enterprise Linux. Windows Vista Ultimate. Windows XP. Fedora (for fun). I use GIMP for an image editor. Picasa for a photo manager. I use Chrome and Firefox as my browsers. OpenOffice for my spreadsheet and document creation. One of my favorite things has to be the ability to print to pdf from any program. I had to install different programs (which inevitably popped up ads on completion) on Windows. Overall I'm happy I switched. I don't know the exact value it's given me, it might take a little more time to figure that out. But I'm happy with it. Ubuntu has made it incredibly easy for me to switch and I'm thankful for that. Just a quick note, mostly for myself. I was asked about getting a report column to wrap. The method being used was the CSS Style property of the Report Attribute (Column). The report template was the Standard Alternating Row Colors. You can fiddle with the CSS Style (I'm lazy) if you want, or you can do something like this. That #X# is the column/report name. The ideal would be to get the correct CSS in there, but like I said, I'm lazy. This worked for me going back to 1.5 (HTMLDB) on Template 12. Another, funny in hindsight, continuation on Gotcha #1. Sadly I can't speak to the specifics of what I was doing but it did involve the coolest thing ever, Exadata. We ran into some problems when are reports weren't returning the correct results. Specifically, year over year data (last year's). I suspected one thing, someone else suspected another and a third person got it right. Turns out, we had added a "blank" logical column to the RPD. Not sure of the exact reason why or what was trying to be accomplished, but there it was. As I dug through the physical SQL, I noticed a bunch of '' (that's back-to-back single quotes), essentially an empty string. I have read on how Oracle handles empty strings and how many vendors deal with NULL values differently, so I suspected this was the cause. My first thought wasn't correct though. First a sample of how Oracle handles both empty strings and NULL values in a WHERE clause. So comparing an empty string to itself evaluates to false. Of course everyone knows that NULL is the absence of value, so comparing it to itself evaluates to false. My original thought was that somehow the '' (empty string) was being used in the GROUP BY clause...but that didn't make much sense as even if it was used, it would be the same "value" as in the SELECT. 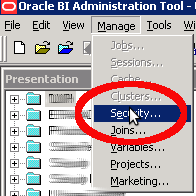 Then I saw it...after digging through 500 lines of OBIEE generated SQL, there it was. In the first Gotcha, I had been capturing physical SQL not tuned specifically for Oracle...it was just using a generic ODBC connection. I'm glad I made that mistake though, because I had all that SQL. 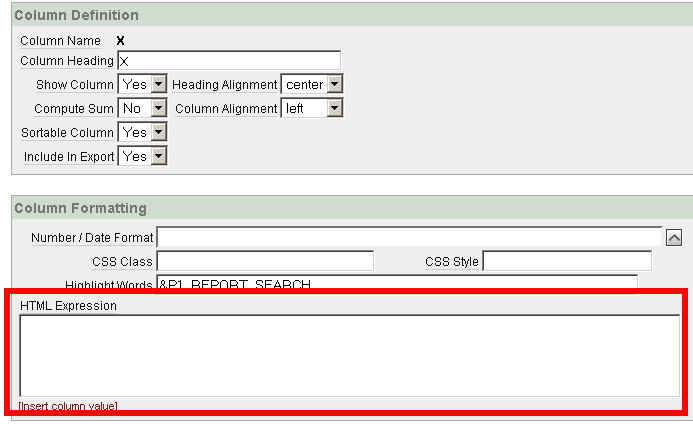 For this specific report using the generic ODBC connection, 4 queries were sent to the database and stitched in OBIEE to display the reports. When the driver was switched to an Oracle specific one, it create one giant WITH statement. Actually, it was about 8 different WITH statements...which made it hard to analyze because of the dependencies on previous WITH statements in the same SQL. I found it be running the first 2 SELECT statements individually. I got the results from this year and the results from last year. Perfect. But it added to the Why? of what was going on. Further down in this massive SQL statement, I found 2 FULL OUTER JOINs. Could it be? Could it really be joining on that '' column? Yes it could and it would explain exactly why incorrect results were being returned. Per the example above, when comparing an empty string against itself, the expression evaluates to false...so the table being joined to would never return results. We decided to add a character to it, a dot (.) and sure enough, the correct results returned. 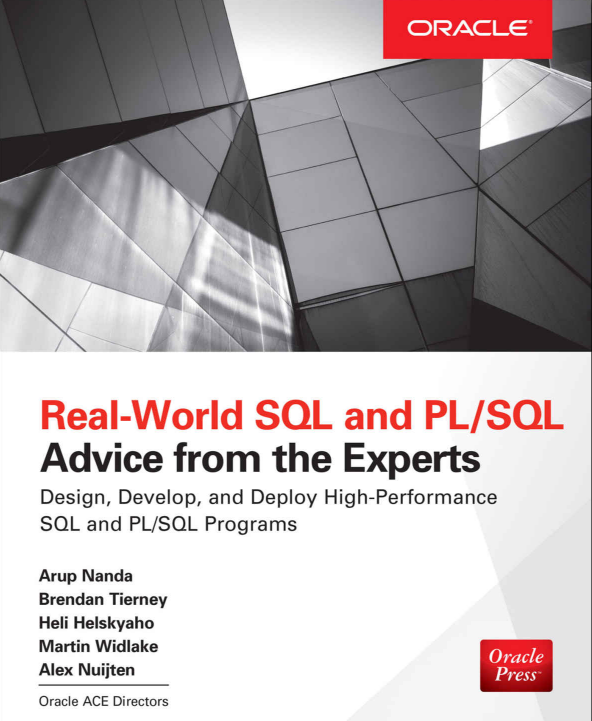 Another realization after the fact (made by my colleague), was that using an Oracle database would decrease the number of queries being sent to the database thus allowing for more connections and less work by the BI Server. Super win! I didn't have a whole lot of interaction with the IOUG staff (other than them giving me a hard time). I did meet a few of the volunteers. Kudos to all the volunteers from every organization, thank you so much for giving your time to help make this event a success. The "magic" that occurs is a combination of staff doing what they do best – providing the professional expertise and management for development, execution and operations with the partnership of the volunteer team. Although the staff team all have different roles, the most important part is that they work holistically onsite and in support of the community and their colleagues from OAUG and Quest. Not only do they work with their teammates, but their goal is to serve the entire community of attendees, whether they are OAUG, IOUG or Quest! We know the Oracle user community gets a lot of value out of COLLABORATE, and it makes all the time and effort involved worthwhile. 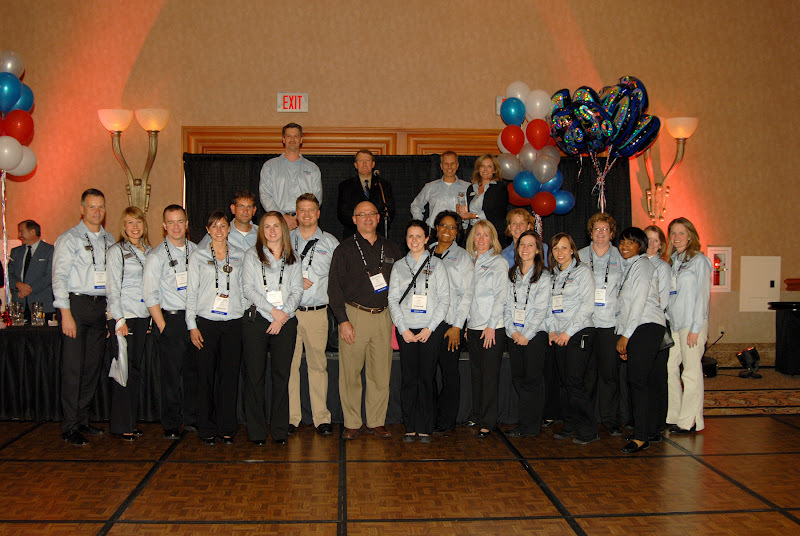 Whatever role each person plays, we celebrate our successes together, and we're proud to have hosted a great 2010 conference. Here is a picture of IOUG staff and volunteers celebrating a successful COLLABORATE! I didn't run into the Quest staff at all (knowingly). The staff for each one of these groups did an outstanding job in running COLLABORATE 10 and I just wanted to make sure they had their day in the sun as well. I asked Allison Dixon (who was my liaison with OAUG) to give me a picture and write up their staff. Yes, it's their job, but that shouldn't take away from all the hard work they put in. I would love to do the same for IOUG and Quest staff, so if you know who I should talk to, please let me know. For five days, 5,500 Oracle users, developers, managers, analysts, database administrators, solutions providers and Oracle representatives gathered under one roof at COLLABORATE 10 – Technology and Applications Forum for the Oracle Community at Mandalay Bay in Las Vegas. The sense of community was certainly felt as a positive, collaborative energy charged through the convention center. Connections were made, experiences shared and questions asked and answered. For the second year, Chet Justice joined us to cover the event for oraclenerd. We chatted one day as his Blackberry charged in the Oracle Applications Users Group (OAUG) staff office about how most attendees would be surprised to learn how an event of this scale is produced – and the idea for this guest blog post was born. Using this photo from the award presentation, I'll shed a little light on each staff member's contribution to COLLABORATE – diverse roles and responsibilities all coming together with the goal of creating a positive conference experience for attendees. This should give you an idea of the complexity of this year-round effort (which you can multiply times 3, as our counterparts at IOUG and Quest are equally invested!). Jeff, Brian and Jalene, as Meeting Expectations' managing partners, provide executive leadership and high-level strategic guidance to OAUG. At the conference each year, they provide hands-on support wherever needed, usually working long hours on the registration desk or in other customer service capacities. Jeff also serves on the OAUG Technology Committee and works "under the hood" on the OAUG registration and paper submission systems to keep them running smoothly all year. Micheal North - director of finance. With thousands of attendees, hundreds of companies engaging in customized exhibitor and sponsorship packages and hundreds of vendors hired to bring it the event to life, consider the dollars that flow through COLLABORATE. Micheal knows the exact whereabouts of every single one of them at any given moment during a show cycle. On site, you'll see him providing customer service at the registration desk all day. By night he is developing detailed financial reports for the Board of Directors. Allison Dixon - director of event marketing (me). How'd you hear about the conference? Chances are you received an email, a postcard, a brochure, a tweet, a telemarketing call (sorry about those 6 a.m. rings) or some sort of contact from me. I also work with my marketing counterparts at IOUG and Quest to maintain the umbrella brand of the conference and produce all shared materials, like the program guide and daily agenda books. On site, Jackie Dale and I maintain the conference Web portal, daily updates, daily emails, tweets, conference survey and new this year, the Tweet Nest. We’re also responsible for the post-conference survey. Joey Sirmons - manager of Internet communications. Known in certain circles as the Spam King, Joey's domain is the OAUG Forum Web presence and all e-mail communications. He codes, manages lists and keeps us meticulously compliant with anti-spam regulations. If you've noticed, we like to send quite a bit of e-mail about the conference. (Hint for COLLABORATE 11: register early and you’ll be removed from the list. How's that for an incentive?) Joey also helps oversee bag distribution, making sure all attendees get their bags of conference goodies after they check in at registration. In his (limited) spare time on-site, Joey can be seen around the conference with his camera, acting in his role of unofficial OAUG photographer. That same camera has been spotted at after-hours gatherings, often to the chagrin of volunteers and fellow staff. Jackie Dale - event marketing coordinator. Jackie works with Allison developing marketing strategy and delivering the creative behind all those brochures and emails. On site, she is corralling all the groups to obtain their schedule changes, keeps the conference Web portal up to date, helps to craft daily update emails, tweets and also extols the wonders of social networking from her base in the Tweet Nest. After the conference, she develops the survey results reports. Steven Hughes - executive director. What you may not realize is happening at COLLABORATE, in addition to the hundreds of sessions and networking events, is the jam-packed schedule of meetings between the Board of Directors, committees, task forces, councils and Oracle. Steven runs from meeting to meeting, working with these various stakeholders to set the OAUG agenda for the coming year and beyond. He is also busily greeting overseas delegations and exploring ways to continue to expand the OAUG global footprint in order to serve more users. Kay Eckstein - association manager. Kay's primary role is to manage the OAUG Board's schedules to ensure they are at the right place and time for all critical meetings without missing a beat (or a party). Remember the staircase in Harry Potter that keeps changing and moving without warning? This is a good representation of the 14 Board members' schedules during COLLABORATE. If it seemed that President Dave Ferguson was everywhere at once, it's because Kay waved her wand and made it so. James Hobbs - senior director of global programs. James' primary role is to ensure all the pieces and parts of the conference come together. Occasionally he'll find a missing piece -- and that either leads to a Martini or his staying up a bit later at night to be sure OAUG members receive the highest level of service, an experience that encourages greater success in their jobs and the opportunity to have some fun as well. Keeping the team and the entire COLLABORATE train on the tracks to bring the event to fruition is his goal and passion. Karl Kirsch, CAE - chief operating officer. Karl joins Steven Hughes as part of the executive management team and helps translate strategy into tactical plans that are specific and measurable. He shares responsibility to manage the daily operations of OAUG to ensure activities of the organization's staff are supporting established objectives, quality targets and cost-effectiveness goals. If you heard someone say "there is a process for that" or heard the whir of the propeller on his head, you probably ran into Karl at COLLABORATE. 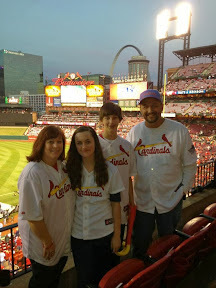 Katie Truex - membership coordinator. Katie holds down the OAUG membership booth, where she cheerfully answers members' questions and talks with prospects about the value of joining up. She is also director of swag – selecting, purchasing and handing out those Slinkys and handsome playing cards (she also doles out coveted OAUG Forum proceedings CDs). All year long, she provides member care to the OAUG community. During the 3-4 months before COLLABORATE, she deftly handles the crush of calls from companies that want to join or renew their memberships so they can save on conference registration (over 20%! Join today!). Kowana Ragland, CMP - tradeshow manager. In the run-up to the show, Kowana has a clipboard and a whistle –enthusiastically coaching exhibitors every step of the way on how to make the most of the show. Her monthly exhibitor newsletters are jammed with planning and marketing tips. On site, Kowana manages logistics for the OAUG tradeshow venues, including the Mini Theater, Star Partner Lounge, TweetNest and Relaxation Lounge. In addition, she provides assistance managing that "wheel of fortune," THEgame. Christine Hilgert, CMP - tradeshow lead. Christine has been a part of the OAUG for over 12 years and has participated in over 25 OAUG events. She continues to lend her expertise and provides support in a variety of areas, including overall history and relationship with the OAUG and its long-time members. Christine's most recent role is providing exhibitor and sponsorship management where she and her team sell exhibit booths on the tradeshow floor among various sponsorship opportunities taking place throughout COLLABORATE. She was also recognized at the 20th anniversary event for a milestone birthday of her very own. Jenny Freeman - senior sites coordinator. Jenny is a senior sites coordinator and supports the site selection team to find the perfect venue for meetings and events. At COLLABORATE, Jenny provides on-site registration support on behalf of the OAUG team, like Alex, assisting with registration and greeting attendees. Katie Miknis - speaker programs manager. Want to speak at COLLABORATE? You'll have to get through Katie first. She manages the speaker selection process, room build-out and assignment at COLLABORATE, leads speaker orientation and serves as the main point of contact for speakers on site. Katie is also the lead for the OAUG Wellness Program, which offers attendees a daily morning workout with a local area trainer. Regina Robuck - director, affiliate communities (promotion alert! now director of education). Regina provides resources and support services for the OAUG's Geographic (Geo) and Special Interest Groups (SIG). She is responsible for the implementation and expansion of the Oracle Community Integration Initiative, which means she works all year to inspire (beg) Geo and SIG leaders to bring their organizations into compliance so she can then make their days by providing a complimentary conference registration. At COLLABORATE, she facilitates all Geo and SIG meetings and manages the Certificates of Distinction awards program. Litika Coleman - senior registration specialist. Litika is the lead registration manager for the OAUG. She works with the other two users groups to ensure the attendee registration process leading up to COLLABORATE, as well as on site, runs smoothly. Litika provides customer support to attendees by answering phone calls and emails prior to their arrival to COLLABORATE. Cindy Force - communication manager. We call her Sponge: While supporting the events occurring on site, such as directing traffic to SIG meetings, recording minutes in committee meetings, handing out conference proceedings in the membership booth, etc., communications is listening, listening, listening. What information do members want and need to know? 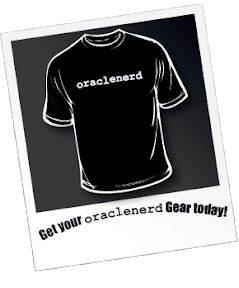 What is Oracle doing that our members need to hear about? Are these the hot topics for the next newsletter or OAUG Insight magazine? Who are the subject matter experts who can help develop these stories? Cindy is all ears! Amy Ford, CMP - tradeshow manager. Amy assists the tradeshow team to ensure all exhibitor and sponsorship deliverables are met. She provides customer care to exhibitors and sponsors pre event as well as on-site. She also handles the judging and awards for Best of Show. So be nice to her. Darnette Holbert - senior conference manager. Darnette knows, with laser-like accuracy, the location of every electrical outlet in the Mandalay Bay Convention Center (and probably the greater Las Vegas metro area). She manages conference logistics on an often microscopic level, including hotel arrangements, food and beverage orders, signage, audio/visual, security, general contractor services, special events and receptions, tradeshow logistics, furniture and floorplan development. You didn't think chairs, tables and projection screens magically appeared in every session room? All of this is contracted and delivered according to Darnette’s orders. That concludes our tour of the OAUG team. It’s quite the undertaking, but we absolutely love working with our colleagues at IOUG and Quest to produce COLLABORATE each year. The wheels are already in motion for Orlando in 2011 – we hope you’ll come, and say hello when you see us!